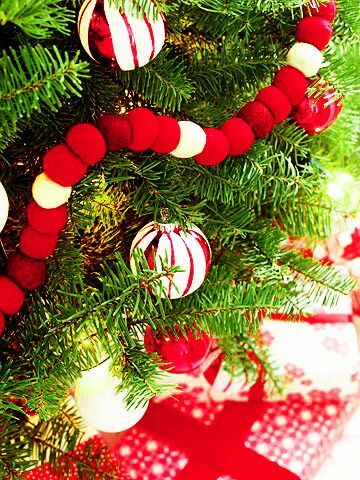 Nora Napientek says she wasn't thinking Christmas when she chose a color scheme of white, green, and candy-cane red for the rooms in her 1920s cottage in suburban Chicago. 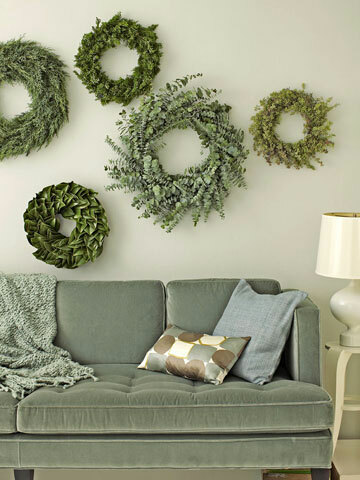 But the Santa-approved palette certainly goes a long way toward making the family's holiday decorating a snap. "I like bright, primary colors," says Nora. "White furniture and trim pop against them, and they're easier to work with than, say, mauves and pinks." To transform her home to yuletide festive, this working mother of two, ages 4 and 6, takes a practical approach, adding a few effortless seasonal touches throughout the house. In the family room, which features her whimsical collection of vintage toys, including a tricycle and picture blocks, Nora conceives a different themed tree every year by scouring garage sales for bargain decorations. "It might be all-white ornaments and ribbons or, like this year, a peppermint motif," she says. For the pared-down living room, pinecone-studded wreaths, colorful stockings, and a smattering of red candles and vases set the scene. 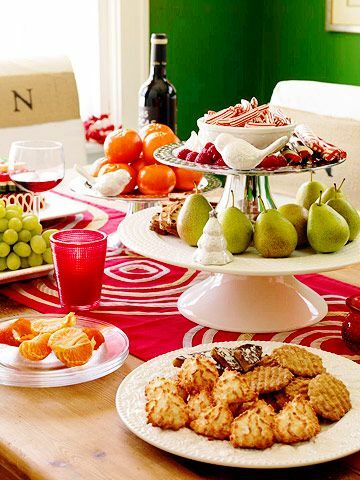 When she throws a party Nora puts out a simple buffet using her own dinnerware—a collection of dishes, cake stands, and platters adorned with birds, trees, and holly. 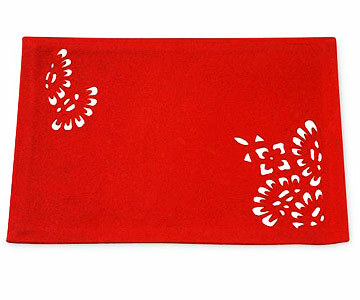 The designs are a signature of her company, called Nora Fleming, named after her great-grandmother. "She was everything you would want a mom to be—always cooking and baking—so it felt natural to include her as part of a business that celebrates homemaking," says Nora. Now Nora passes her own passion for entertaining and playful decorating on to her kids all year long—but especially during the holidays. The ability to inspire, it seems, runs in the family. Nora keeps cookies, fruit, candy, and wine on hand for drop-in guests around the holidays. "People don't always want to be bombarded with a big meal," she says. —Create an intriguing buffet table display by mixing different china patterns and materials like porcelain, pewter, and glass. And don't be afraid to put out your best stuff, even for a casual get-together. "If it's beautiful, why hide it away?" says Nora. —Serve kids a special drink—Nora makes a fizzy mix of grape juice and San Pellegrino—and offer "old-school games" like charades, Monopoly, and crazy eights. In the family room, the unfussy furniture and window treatments (made of fabric Nora hemmed and hung on tension rods) play off the rustic floors, which she created by painting white over red and buffing with an industrial sander. 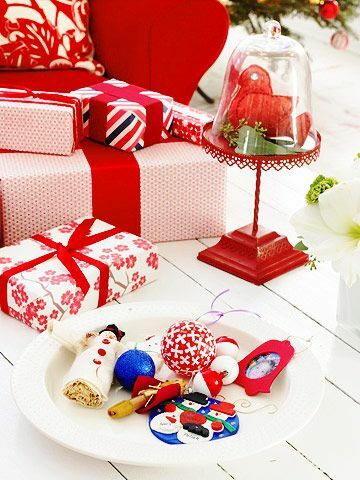 Red and white ornaments complement Nora's theme. Nora's Tip: Treasure hunt for ornaments and trimmings at garage and rummage sales in the spring (when everyone's cleaning house). Looking for bargains and "cool junk" is not only budget-friendly but also a great way to get inspired with new colors and themes. 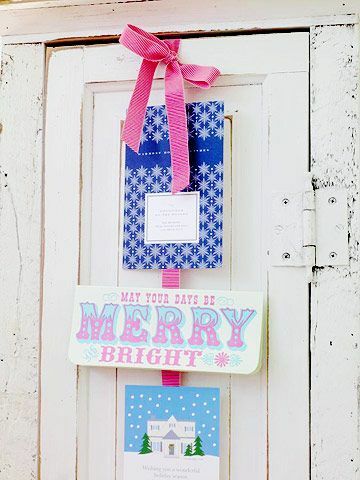 Cards on a ribbon dress up a flea-market cabinet. 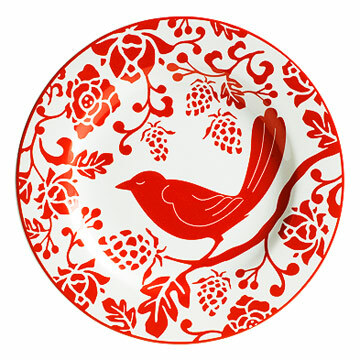 Favorite decorations are arranged on a platter and an old red metal stand. Nora's Tip: Decorate with colorful wrapped boxes, which can be reused from year to year. 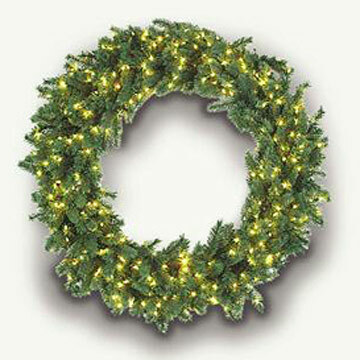 Or stack a few real presents on a side table or use as a centerpiece in the dining room with "no peeking" instructions. Nora painted the living room's wood floor a glossy black, stenciling the curvy border where the room meets the foyer with fleur-de-lis. Pinecone-studded wreaths and garlands accented by red candles and vases add seasonal atmosphere to a neutral setting. 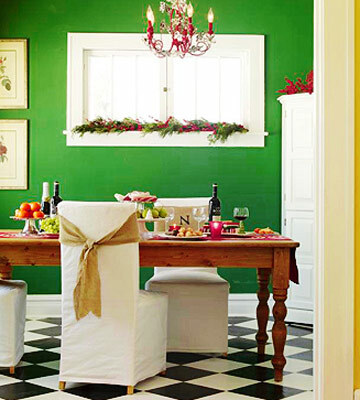 Greens dress up the window sill in the dining room, decked out with a spray-painted junk-shop chandelier, checkerboard linoleum floor, and stenciled burlap chair ties. Our very merry ways to steal Nora's style. Originally published in the November 29, 2008, issue of Family Circle magazine.